Cortland 211 is now a one stop shop of Resources that we are proud to feature! you may access many different resources throughout Cortland County by simply visiting their web site or calling 2-1-1 and speaking to a live representative! culture for positive youth development. Seven Valleys Health Coalition (SVHC) is a coalition of providers, agencies and interested individuals working to promote effective, efficient and accessible health and human services through coordinated services, sharing resources, and fostering an integrated system of health care. SVHCs web site are designed to improve the health and well being of Cortland County residents. 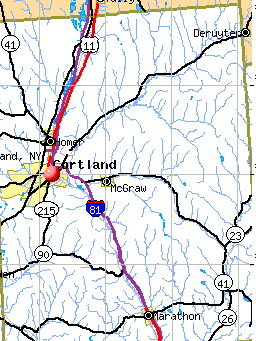 Here you may find information from the Cortland Counts Community Assessment Report which asseses the health and well being of Cortland Community members in order to better meet the needs of residents. The City of Cortland website is an excellant source to find local agencies and information of events and news around town. Here you have access to the Mayor's Office, Police Department, Fire Department, Public Water Treatment, the Youth Bureau and much more. There are also links for dining, lodging and entertainment. Catholic Cherities of Cortland County is a non-profit, local agency serving several several target issues such as, poverty, mental illness, substance abuse, dilinquency and at risk youth. Catholic Cherities offers several great services from residential services to emergency assistance. The Jacobus Center for Reproductive Health is a local resource for people of all ages. Their website offers information on topics including reproductive and sexual health, also information to keep you mentally helathy. Cortland Works Career Center has services available for Job Hunters, Employers and Youth looking to either find that perfect career or hire that perfect employee. For youth they offer services like tutoring, occupational skill building and summer job finding. Family Counseling Services of Cortland County Inc., offers several services for individuals and familes sufferign from and effected by mental health and/or substance abuse issues. 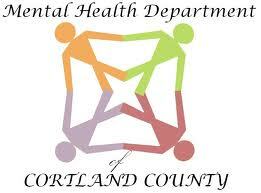 Cortland County Mental Health Department offers several programs and therapy options for a variety of mental health issues. Also provided at their facility are evaluations and support for families and groups. Cortland County offers an excellant youth website with all sorts of information on teen pregnancy, mental health issues, sexual health issues as well as resources around the city. You can find links to the Skate Park, information on volunteer opportunities, scholarships and much more.